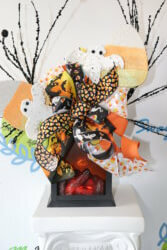 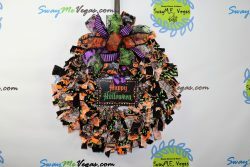 Wicked Witch Wreath Trick or Treat my Little Pretties!!. 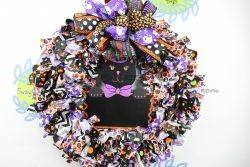 This wreath is overflowing with wicked goodness!! 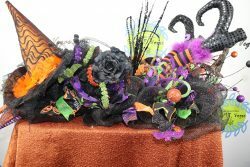 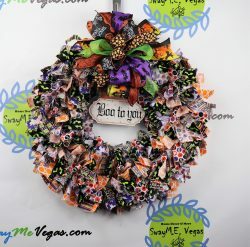 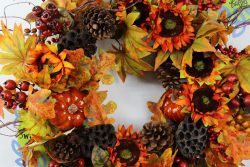 It is created on a 16″ ..
Halloween Fabric Wreath Here is a fun and festive handmade rag wreath to celebrate Halloween with. 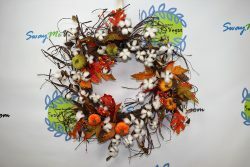 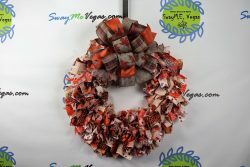 This handmade rag wreath features fourteen ..